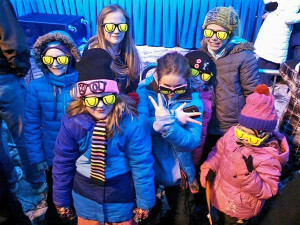 The Austin, Buttermore, Sova and Troupe families pose with their sunglasses that helped break a world record. Do you wear your sunglasses at night? Five Cedar Springs families did last week Wednesday, to help kick off 10 days of comedy at LaughFest in Grand Rapids, and break a world record to boot. 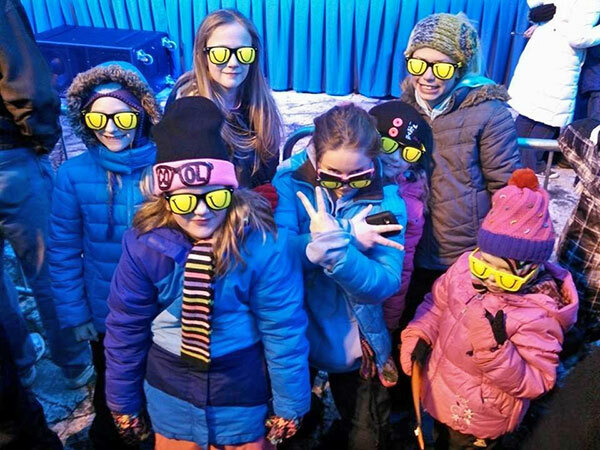 The Austin, Buttermore, Ewen, Sova, and Troupe families all made the trip to Rosa Parks Circle in Grand Rapids, where they helped break the record for the most sunglasses worn in the dark. The fourth annual festival of laughter kicked off with 1,675 people wearing sunglasses to break the previous record of 1,642 people that was held in Chicago’s Wrigley Field. 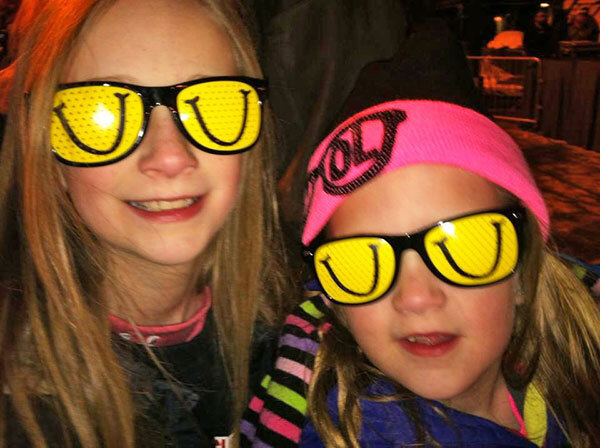 Olivia and Alaina Austin in their LaughFest sunglasses. According to Katy Austin, they had Zumba to help keep the crowd warm before they started the record attempt. And while the glasses looked awesome, they left something to be desired. “The glasses were almost impossible to see through so for the 5 minutes it took to make the record we just laughed because it was so hard to see,” she said.